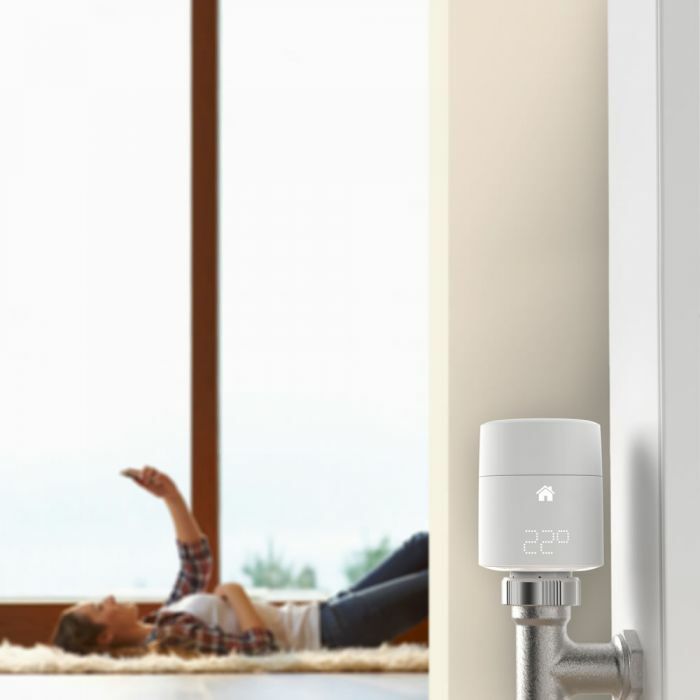 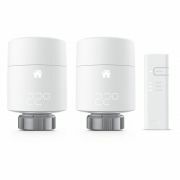 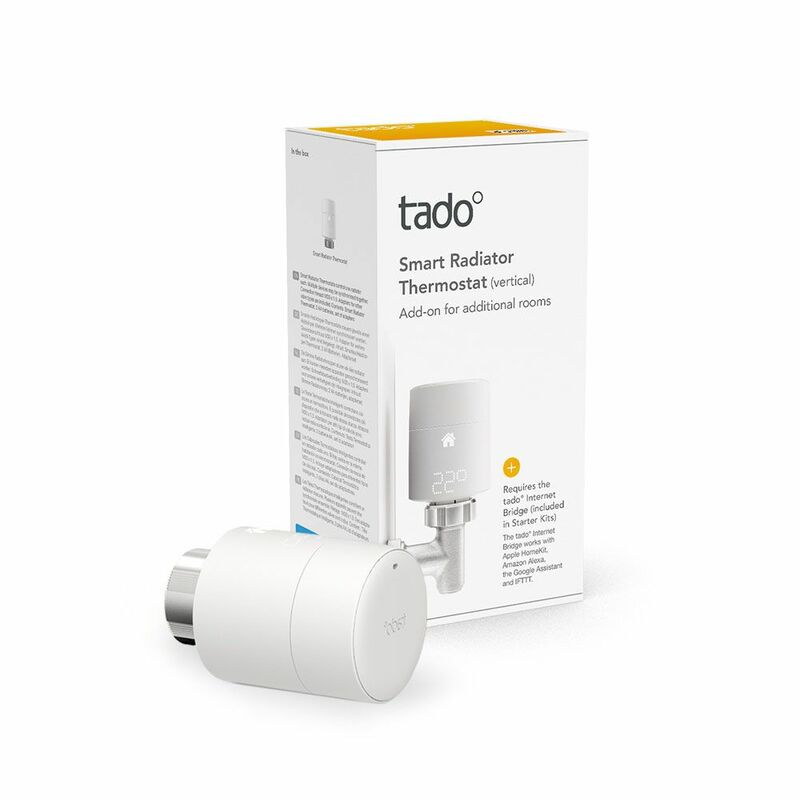 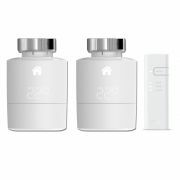 The Energy Saving Trust approved Tado° Smart Radiator Thermostat (vertical mounting) communicates via radio with the internet bridge (supplied in the Starter Kit) and other devices, to give you greater control over your home's heating system. 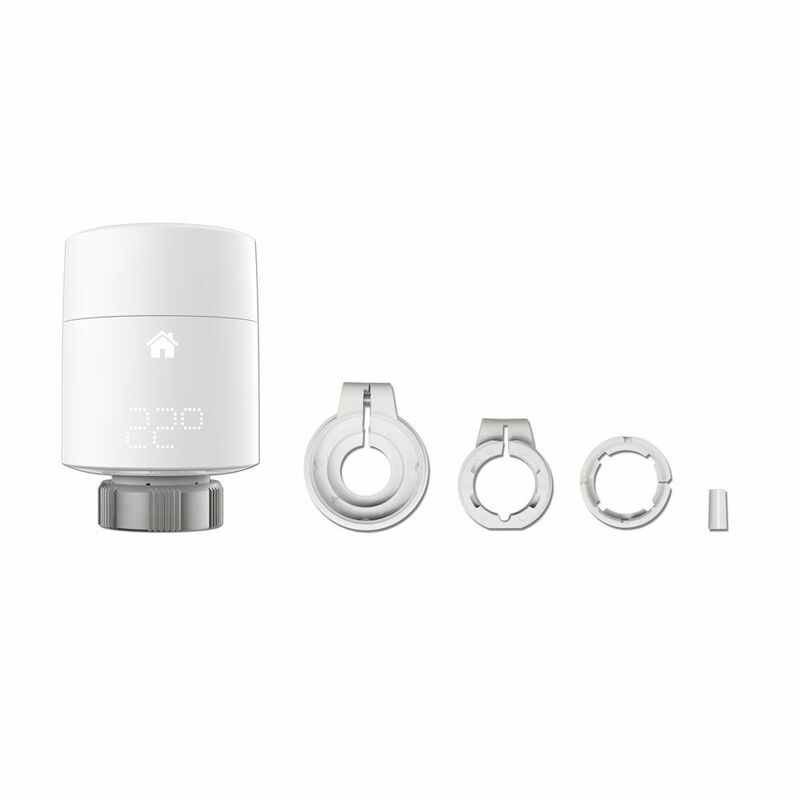 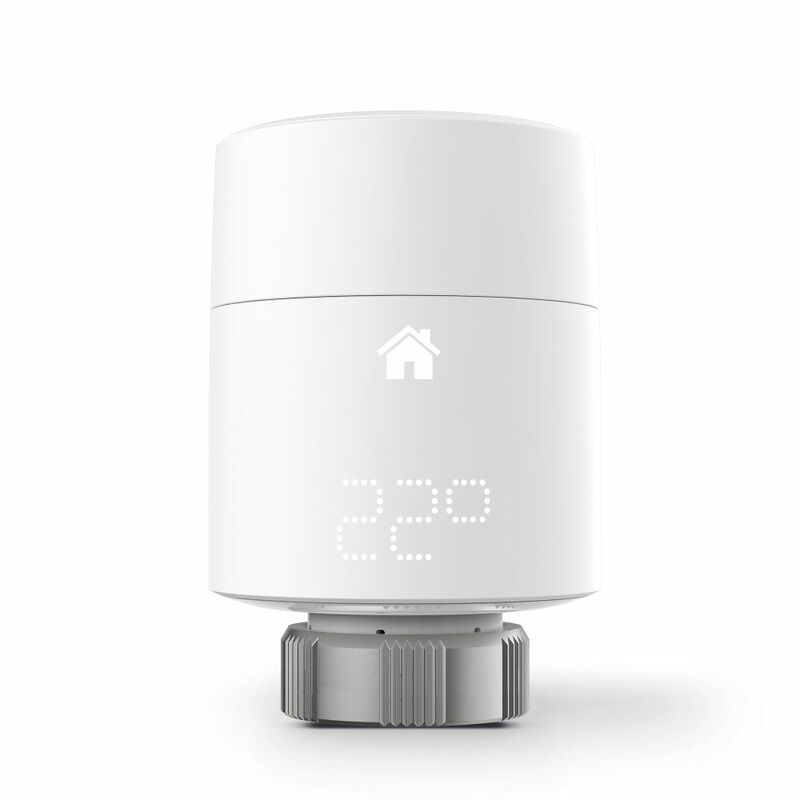 The Smart Radiator Thermostat works by using your phone's location to control a radiator. 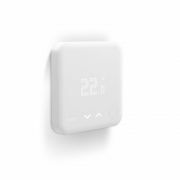 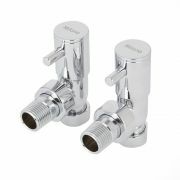 It will turn the heating down when no one is home, and will pre-heat when it detects the first person returning. 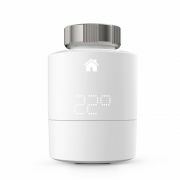 Suitable for use with all standard radiators, the Smart Thermostat is easy to install, and requires no special tools - just simply replace the old radiator thermostat.